Visitation to Boston is Off... Off the Charts!! New routes to Brazil and El Salvador, coupled with expanded low-cost carrier service to London and Paris, will all drive record overseas visitation. Moscaritolo attributes the impressive growth to visitor industry partnerships and marketing campaigns: “Whether it’s winning a large citywide event or a new international route, it comes back to how we market the city to make Boston a compelling ‘must-see’ destination,” he added. Boston’s summer visitor season runs from Memorial Day to Labor Day. Major sporting events bookend this period as the NCAA Lacrosse Championships descend upon Gillette Stadium this weekend, and the Dell Technologies Championship takes place at TPC Boston during Labor Day Weekend. In between, other sporting events – Red Sox games at Fenway, Revolution games at Gillette, and the US Gymnastics Championships at TD Garden – will generate increased visits and visitor spending. 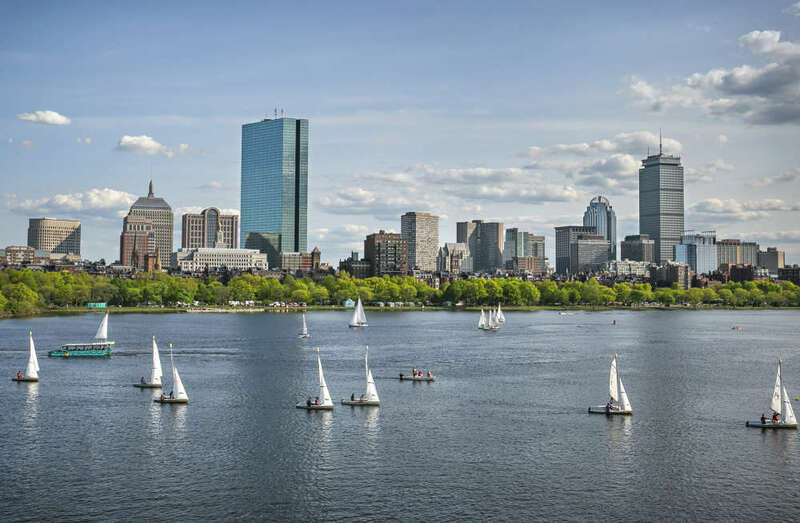 Boston’s array of unique outdoor festivals, concerts, and events is a primary reason why Boston was recently ranked the top US summer vacation destination by US News & World Report. Cross-cultural festivals in Boston celebrate diversity and heritage all summer long, starting with Boston Pride and the Race Amity Festival in June. City Hall Plaza plays hosts to cultural celebrations throughout the summer, including Cape Verdean Independence and the Puerto Rican Festival of Massachusetts. Boston’s signature annual events during summer – including Harborfest, Shakespeare on the Common, the Boston Pops Fireworks Spectacular, and Boston Landmarks Orchestra Esplanade concerts – are FREE. Outdoor concerts at Fenway Park, the Lawn on D, and Rose Kennedy Greenway add to Boston’s destination draw.